The Queen of tins topped with the best of bows ready to hold homemade mince pies or Christmas cake? 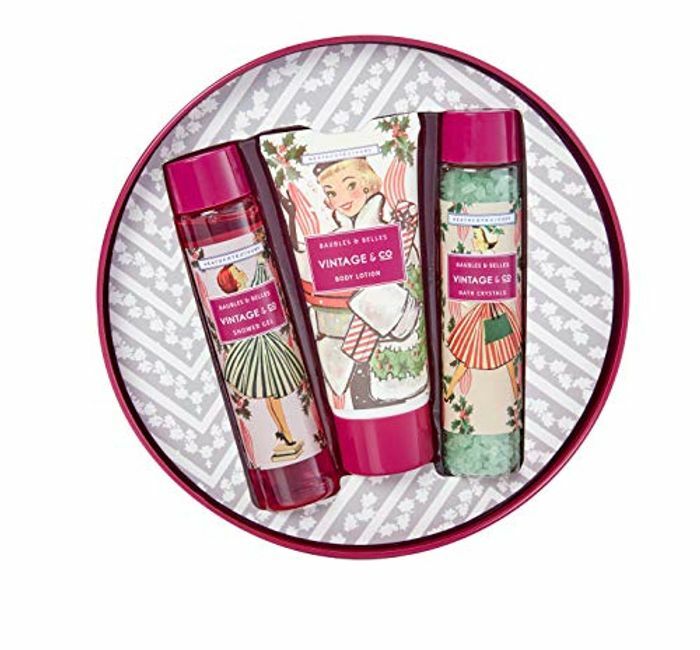 presented with enriching body lotion, gentle Shower gel and scented crystal salts with sweet orange essential oil, all filled with festive scents of pomegranate, red berries, vanilla, sweet orange Zest and a dash of eggnog. This would be lovely for a gift for some one. Thank you for sharing this very good deal.